The Raw Beauty Project, an innovative arts project that celebrates women with disabilities, educating viewers to redefine perceptions and beauty, unleashing potential for all. 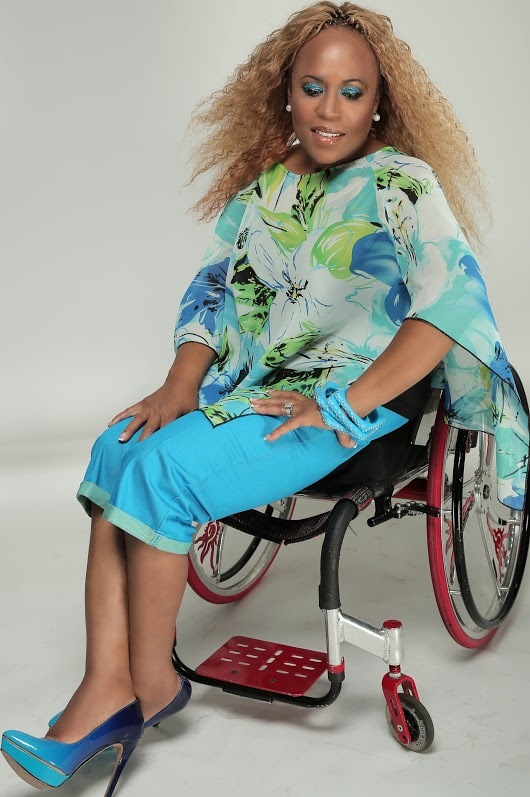 This photography exhibit is a collaboration between professional photographers and women living with various types of disabilities that showcases their beauty, power and passion. The result is a powerful and impactful tool for education, self-acceptance and empowerment. 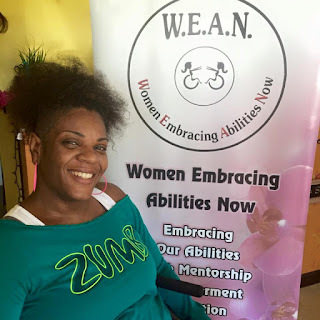 The viewers, not only learn about women with disabilities but also often learn about themselves and are motivated to overcome the challenges in their own lives. On September 20, 2014, The Raw Beauty Project was debuted in Manhattan. The exhibit has resonated with media across the world, igniting a global conversation and has been featured in Oprah Magazine, TODAY.com and Huffington Post, to name a few. You can see a full list of the media on the website. Thus far, Raw Beauty Project NYC has been to Miami, New York City and Washington DC. Monique Stamps was one of the models that was featured in the NYC exhibit. Monique had plans to become a hairdresser and makeup artist, when she became paralyzed in a car accident, at the young age of 16 years old. After a period of adjustment and hard work , she graduated from college as a social worker and worked for the next 10 years at an Independent Living Center, where she connected with other women with disabilities. Empowered through these relationships, she wanted to create a group where women could support one another in coping and learning creative strategies while living with a disability. It is with this philosophy and fortitude that Monique decided that she wanted to become an ambassador of The Raw Beauty Project and create a new exhibit with new models and photographers, in her hometown, Charlotte, NC. After many months of coordinating, canvasing for sponsors, photoshoots, outreach and much more, Monique and her team are excited to launch The Raw Beauty Project Charlotte on June 18, 2016 at 7:30pm at the Dupp & Swap Art Gallery. Ticket price is $50/person and proceeds will support W.E.A.N. Charlotte. Click here for tickets and sponsorship options. For more information, please contact Monique at rbpcarolinas@gmail.com. By design, life wasn’t intended to be fair. Good things happen to bad people and bad things happen to good people. By human nature, if we continually do good deeds, live a life that is driven by high morals, and commit ourselves to a selfish lifestyle whose impetus is based upon altruistic and philanthropic principles then, by default, we should be exempt (or at least expect to be) from the most draconian circumstances that life has to offer. Sadly, this has never been nor probably ever will be the case. Unfortunately, it is one of those curve balls of life that we are helpless to defend against. Thankfully, what we can exert control over is how we deal with these situations. The story of Kebra Moore is a glaring example of how someone who is subjected to even the most inimical circumstances can still prevail triumphantly and, in like kind, send life’s curve ball sailing over the centerfield wall. Recognized for her beautiful voice, Kebra has had the great fortune to appear on the Dr. Bobby Jones’ Gospel Hour. 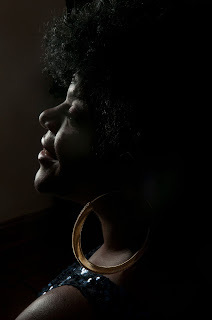 In addition to having her many accomplishments mentioned in F.A.M.U.’s African American studies text From Imagining to Understanding the African American Experience her song Troubles was a nominated for B.E.T.’s Music Award for Best Gospel Song and Video. 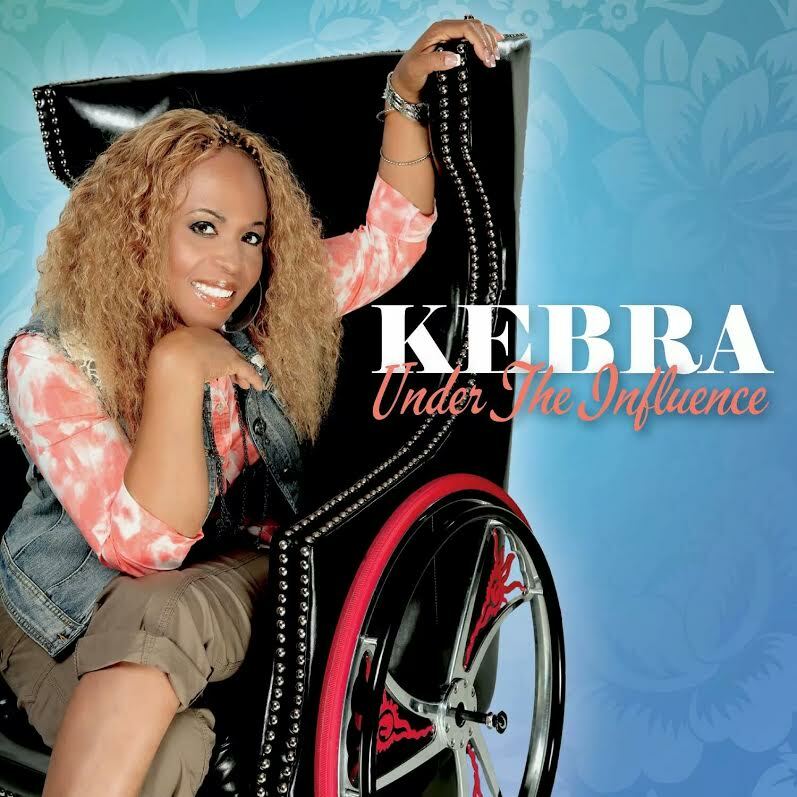 Well said, Kebra. Well said. And whether you are standing to your feet or sitting in a wheelchair, your success and determination deserves a resounding ovation.